BMI with Weight Change Detection Technology -- Instantly displays your BMI (Body Mass Index), current weight, and your net weight change since your most recent weigh-in, last 3 and 7 weigh-ins. Accurate Weight Tracking with 7 Day Memory -- By measuring your weight once a day, the Ozeri WeightMaster empowers you to see how your weight changes from the previous day, the last 3 days and the previous week. 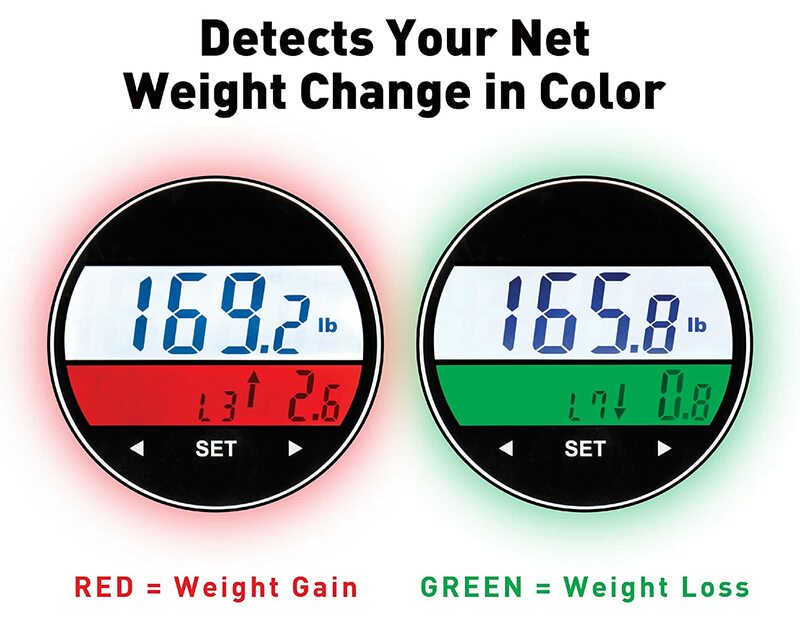 Smart LCD with Color Alert Technology - allows you to focus on your weight trend instead of the actual numbers by displaying your weight change in color, with a GREEN illumination for weight loss and RED illumination for weight gain. 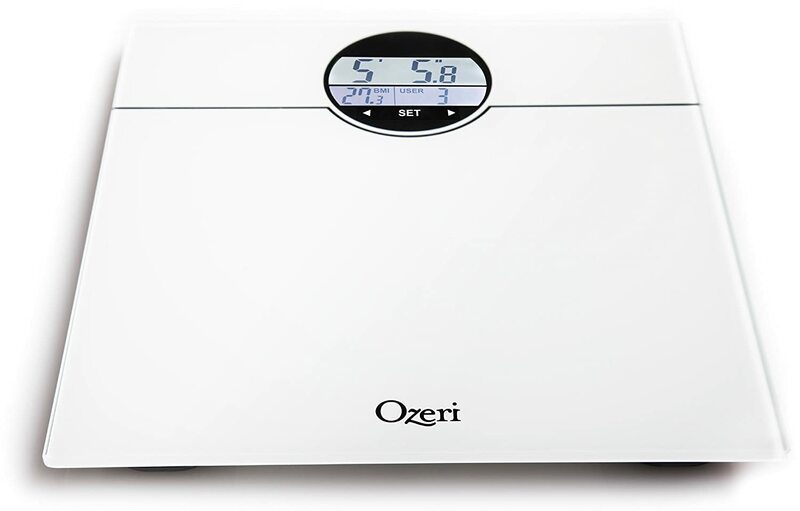 Ozeri WeightMaster Digital Bath Scale with BMI and Weight Change Detection is a wonderful scale. I placed this scale in my bathroom and weighed myself everyday. I was very happy seeing that green light. I had a baby about about 2 months ago and have been doing my best to lose weight and with this Ozeri WeightMaster Digital Bath Scale with BMI and Weight Change Detection I'm able to track my weight loss so much easier. I love the big LCD screen and that the scale also tracks your BMI which is a very important part of your weight. I love that it has auto recognition technology allowing up to 5 users to use this scale and the ability to track each and everyone's weight for the week. I also love that this Ozeri scale has a 400 lb capacity because many scales do not go up that high. I'm also a huge fan of the scales design. It's sleek glass top looks great in my bathroom and it's non-slip scratch resistant feet keep it in place. This is a great product! Great review! Scales scare me lol! Sounds like a great scale. But that red light might totally wreck my day! This looks like a great scale. The changing colors are such a good idea. I love that it changes colors! That is such a simple but different idea. We just got a new scale a few months ago, but man do I wish I'd gotten this one! I love that it changes colors and it's probably more likely to keep me on track! I like this scale. I think the green and red is a great way to track your weight. I am happy with the scale that I have now, but I really like how this one has the color alert. Sometimes when I jump on the scale, I'm more curious to see if I've gained or lost weight (not so much focus on the number), so this would be a feature I'd really enjoy.